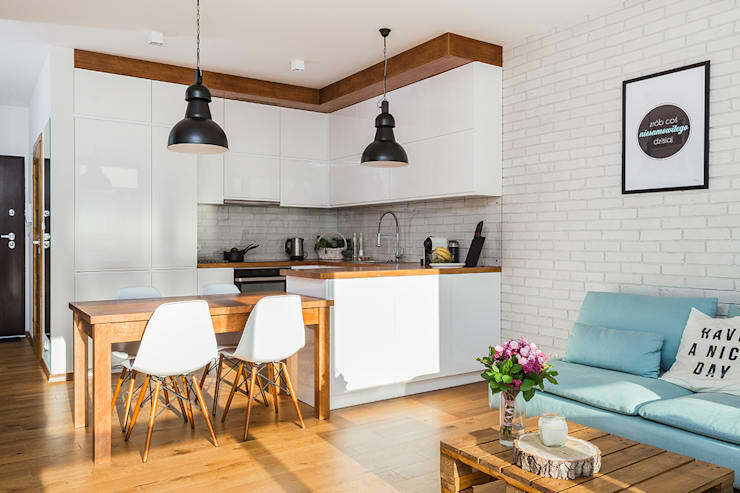 The kitchen doesn't need to be dull and unimaginative when it comes to decor, these 13 kitchen ideas will instantly enhance and upgrade your walls, whether its tiled or painted, simple or luxurious, open plan or spacious. 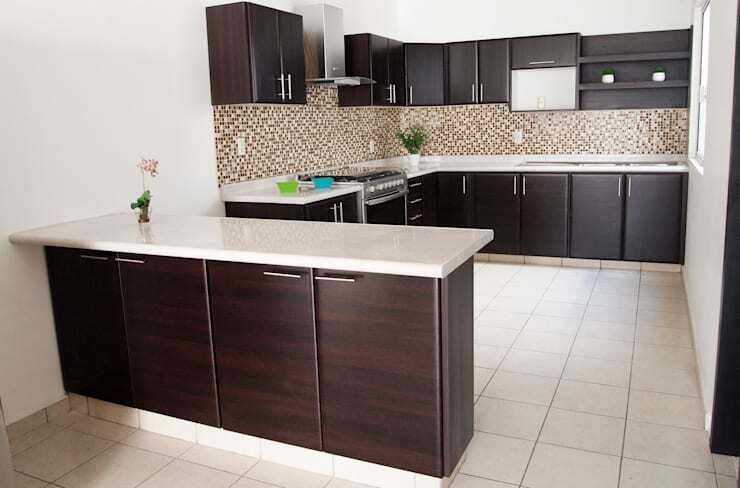 We have a look at tips and tricks that will get your kitchen looking chic and attractive again, perfect for a modern homeowner. Let's be inspired! 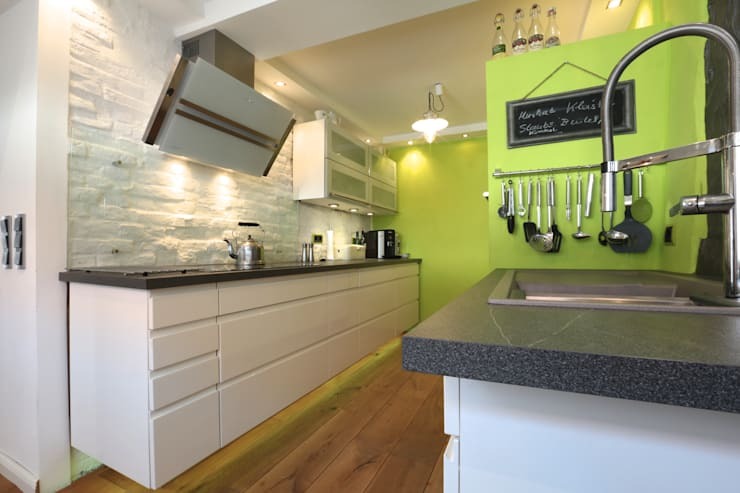 Choose monochrome kitchen tiles and create a space that is tasteful, fashion-forward and trendy, include some sleek modern appliances to complete the design perfectly. An industrial inspired kitchen with a patterned wall and darker hues may just be an awesome choice for a sophisticated home. Existing stone walls? 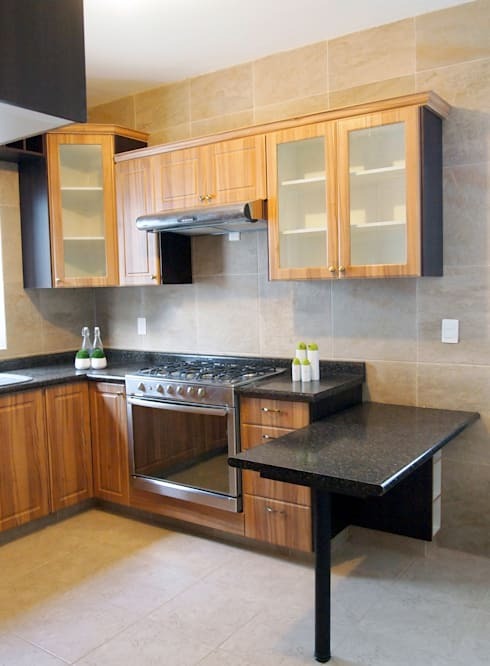 No problem, simply incorporate some modern appliances and your kitchen will have a touch of drama. Keep things cool with all-white tiles in an open plan home. 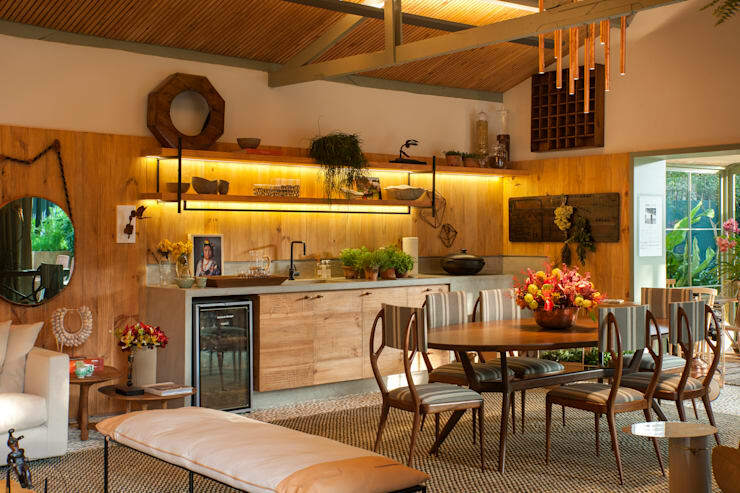 Opt for wooden panels, and enhance that minimalist decor with under shelf lighting too. 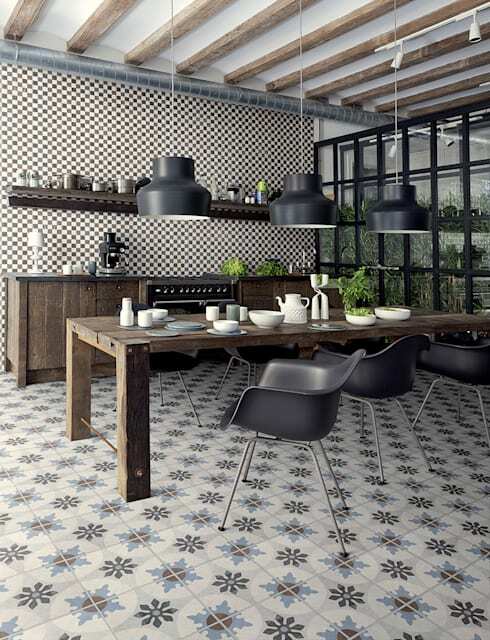 Or upgrade a rustic inspired design with ceramic tiles reminiscent of grandma's house. 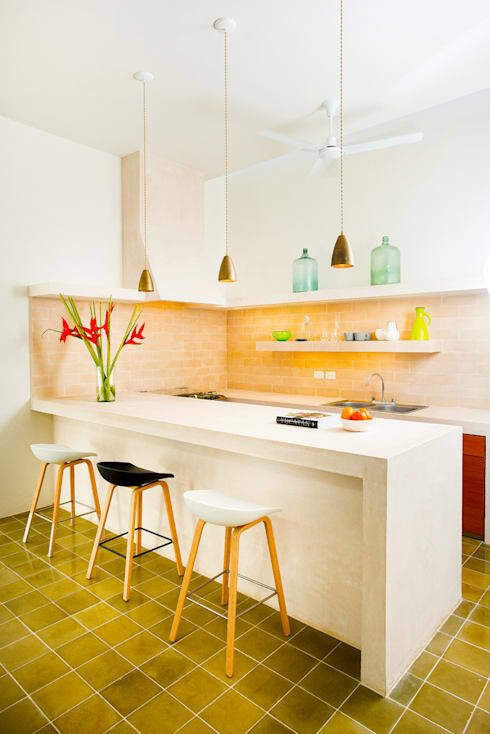 Although this kitchen may have minimalist features, its colour scheme and walls highlight a pleasant Mexican vibe. A textured wall is daring and different! 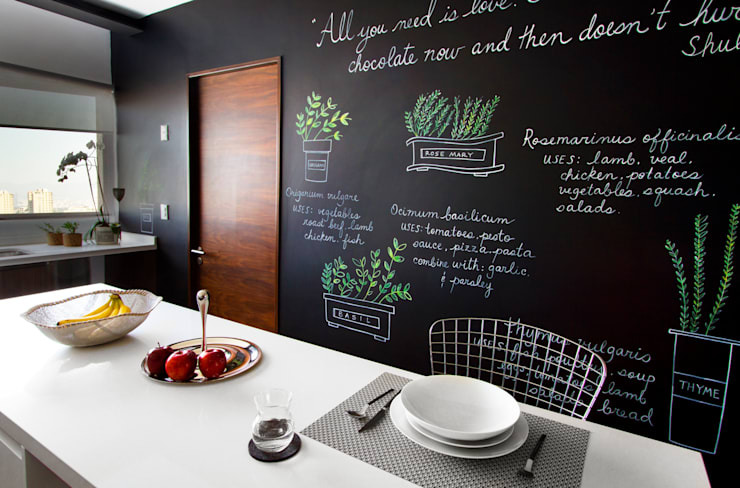 Blackboard paint is a great alternative to the ordinary paint and is available in a variety of colours. Never miss anything on the grocery list again. 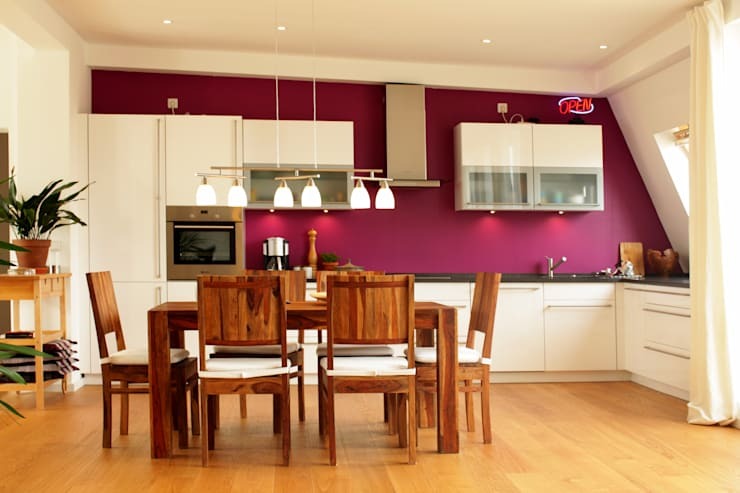 A vibrant hue such as this magenta wall can easily be changed per year or per season, whereas with tiles the renovation is a lot more expensive and difficult. 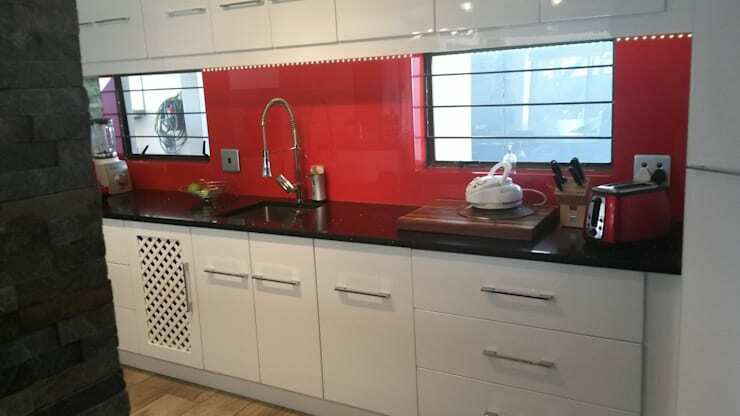 A glossy red splashback may be daring, but when paired with all-white cupboard doors its a fitting design. Mosaic always looks great in the kitchen, and this colour blends in spectacularly with the darker hue of the cupboards. 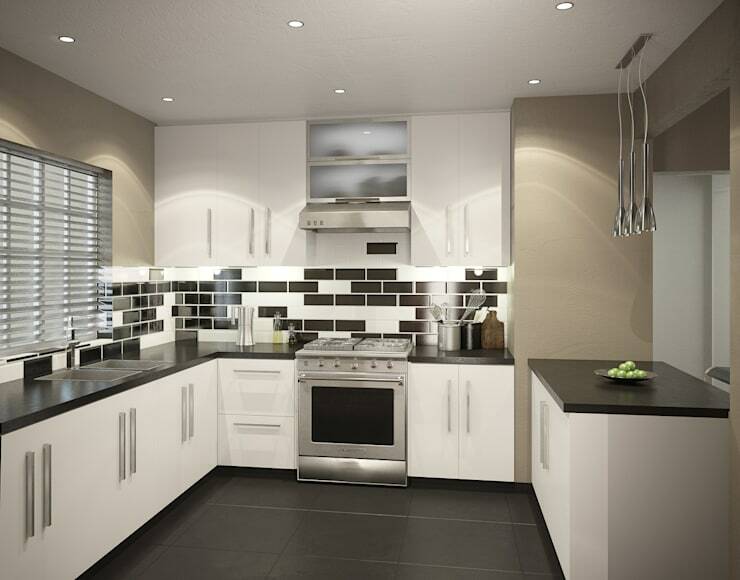 Neutral colour tiles will be ensure that this kitchen remains contemporary for years to come. 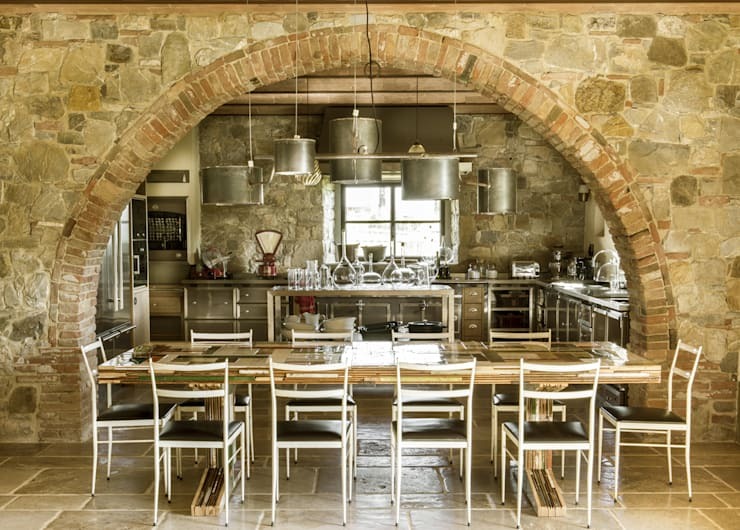 How about these 12 kitchen styles—which one is for you? How have you decorated your kitchen walls?